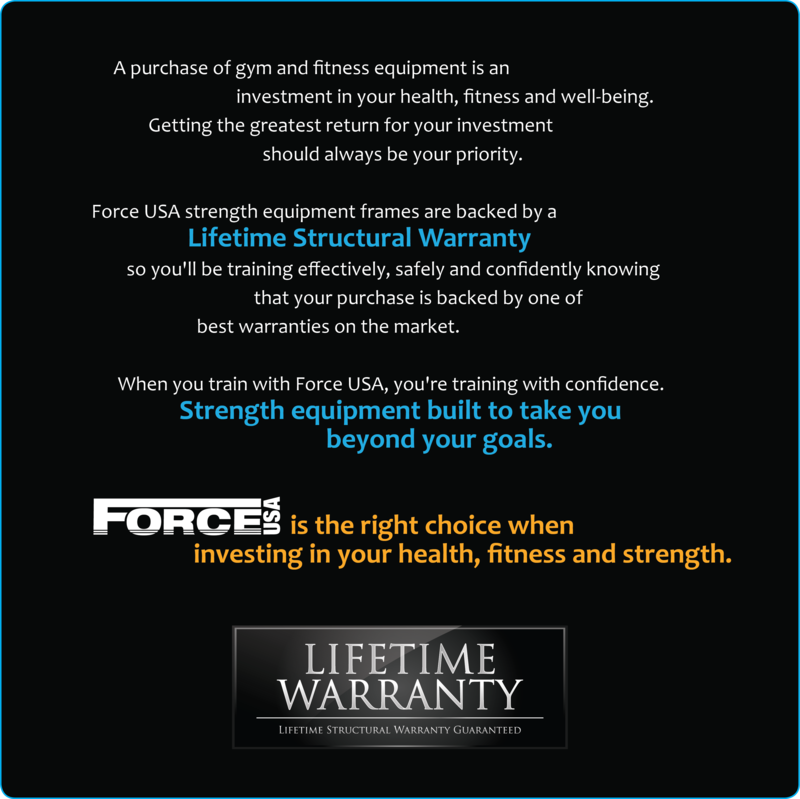 The F-PCC Force USA Cable Crossover is an attachment which connects to the F-PC The Force USA Power Rack adding cable crossover / functional trainer exercise options to your power cage. I can't imagine training without this attachment. 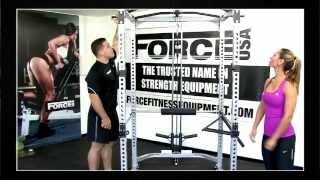 Makes my Force USA power rack experience better. Thanks Gym and Fitness for making this product available in your store, and for delivering it safely and quickly. I highly recommend the product and the service. I highly recommend the Force USA Cable Crossover Attachment to anyone who owns the Force USA Power Rack. I guarantee this is the right attachment and will be all you need to pump up your energy while working out. Thanks Gym and Fitness for the smooth transaction, prompt delivery, and friendly assistance. I am looking forward to doing more business with you. Best attachment I have ever gotten. Matches my Force USA power cage and improves my performance. Glad I listened to the advice of my trainer who suggested I purchase this attachment. Power cage experience is now complete with my purchasing of the force USA Cable Crossover Attachment! I thought I couldn't step up my workouts (because they were already awesome as is) but having an accessory such as this makes everything even better. 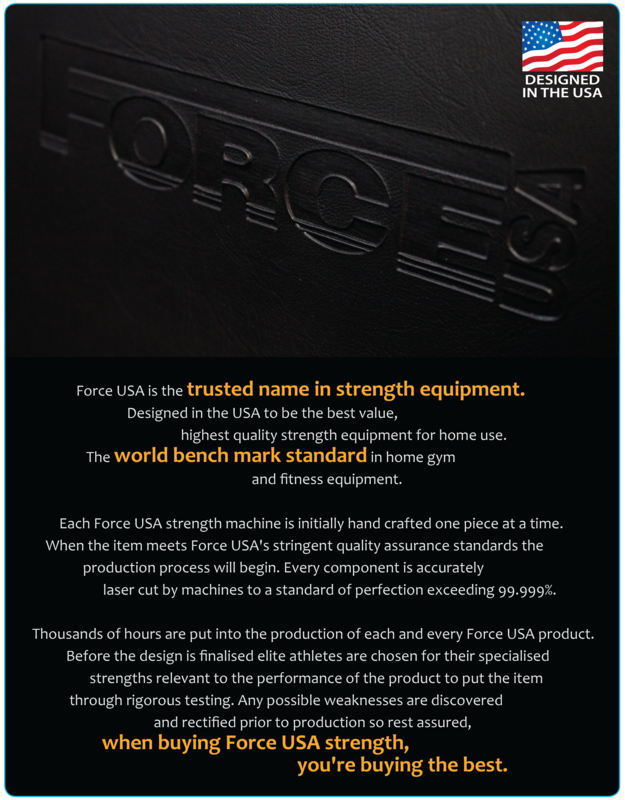 Force USA is the standard in my gym. Clients are as impressed as I am with every new purchase. Thanks gym and fitness team for the countless transactions we've done by now. Appreciate it.